There is a lot of buzz about what the ‘next industrial revolution’ looks like and the potential it holds, but the journey looks different for every organisation, and so may the end destination. Tom Lawton, Partner and Head of Manufacturing at BDO explains more. 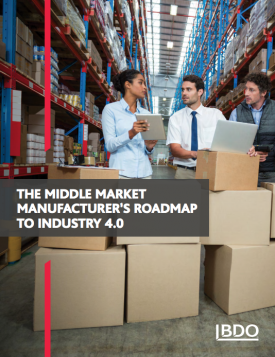 Mid-market manufacturers are in a good position to take advantage of the changes that Industry 4.0 is introducing. As established businesses, with strong track records and plans for the future – this should mean more funding and resources for innovation (and more room for smart risk-taking); less bureaucracy and red tape than their larger, FTSE counterparts means more flexibility, collaboration and faster decision-making. But the UK manufacturing mid-market is far from one big homogeneous group; it represents a wide spectrum of manufacturing capabilities deployed in different ways with different priorities and varying levels of technology and supply chain complexity. The keys to success are: 1) establishing a clear, shared vision of the future Industry 4.0 value chain environment of your industry and your company in that industry; and 2) developing a tailored, prioritised action plan designed to boost momentum and continued progress. A plan that establishes the right starting point based on a realistic assessment of where you are right now will be critical. While every organisation has a different implementation trajectory, real and meaningful progress is possible for them all. 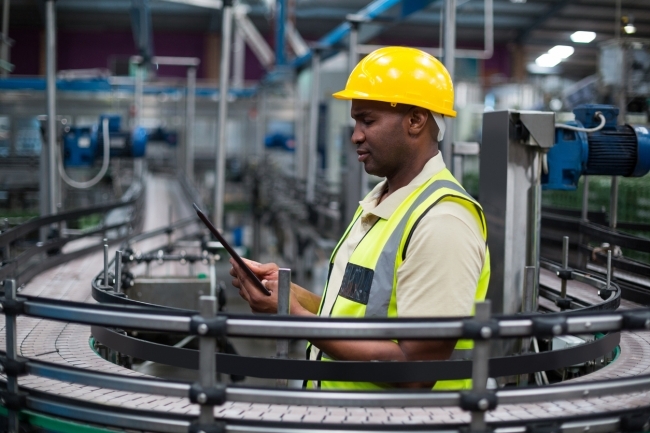 For some manufacturers, their digital transformation journey might be evolutionary instead of revolutionary — and that’s okay. Small, incremental innovations add up over time, and as long as these “incrovations” are aligned with their overarching Industry 4.0 vision, what is evolutionary today may be revolutionary when you look back five years from now. However, manufacturers need stability and certainty in government policy if they are to commit to significant capital investments in Industry 4.0 technology and skills. Therefore, it is critical that the Government creates a long-term industrial strategy that avoids the disruptions of the political cycle.